Whilst undertaking construction of a new-build road to Manchester Airport, the team at the A6MARR has made a commitment to increase biodiversity in the area, whilst supporting the local community. Staff from the A6MARR project volunteered to repair and complete a sensory garden for the Seashell Trust. 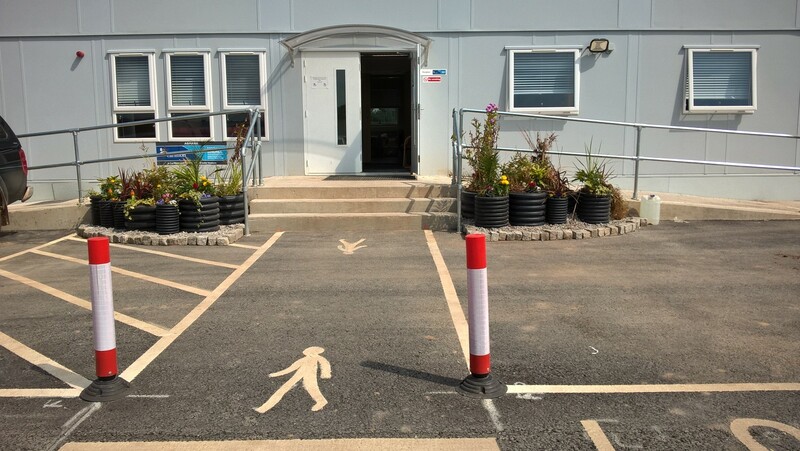 Plants were provided by the A6MARR to add to the garden based on their sensory qualities such as the smell, colour, texture and on their ability to attract wildlife to the area. The plants selected attract pollinators and insects to the area, providing them with a habitat. Raised flower beds were created using the offcuts from drainage ducts. This material was not needed on site and would have normally gone to landfill. In addition to the work carried out off site, the A6MARR team have installed raised flower beds at the entrance to the Chester Road offices to attract pollinators to the area.